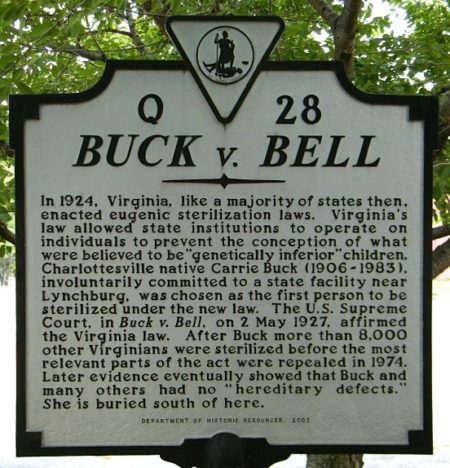 Buck v. Bell, 274 U.S. 200 (1927), is a decision of the United States Supreme Court, written by Justice Oliver Wendell Holmes, Jr., in which the Court ruled that a state statute permitting compulsory sterilization of the unfit, including the intellectually disabled, “for the protection and health of the state” did not violate the Due Process clause of the Fourteenth Amendment to the United States Constitution. The decision was largely seen as an endorsement of negative eugenics—the attempt to improve the human race by eliminating “defectives” from the gene pool. 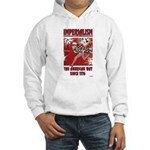 The Supreme Court has never expressly overturned Buck v. Bell.